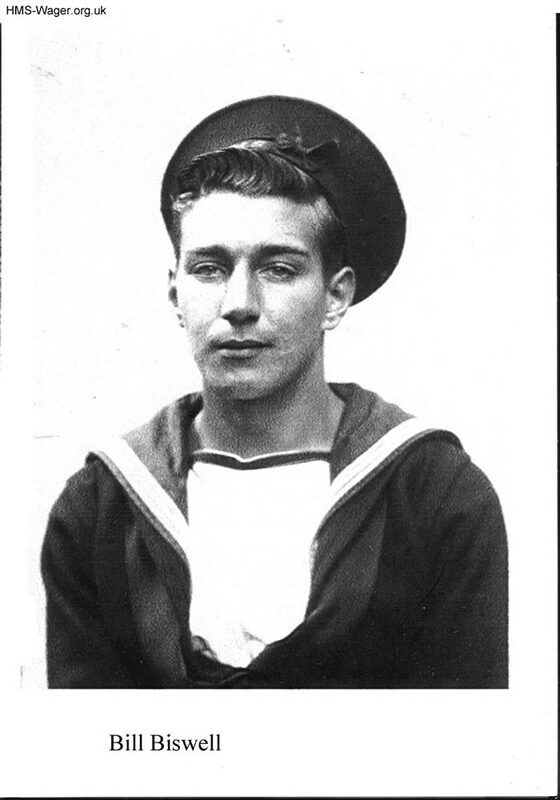 Able Seaman Bill Biswell was a gunner’s mate. He wears the black cap common at the time, with a cap ribbon showing H.M.S. only (as ships’ names were not shown on cap ribbons in wartime). The fashion was for the ribbon to be over the left eye rather than the regulation ‘over the left ear’ and for it to be worn back at an angle!